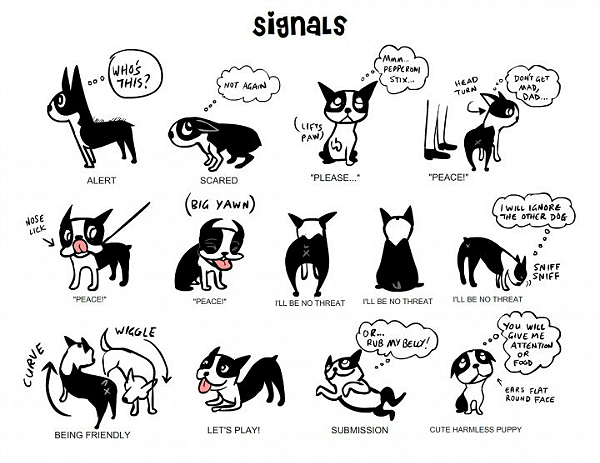 Dogs and cats rely heavily on nonverbal signals to communicate their moods. 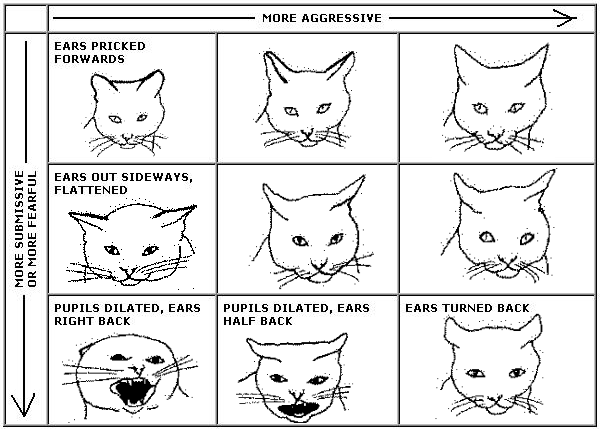 Their facial expressions, ear position, tail position and movement, and overall body stance convey their intentions. Ideally, we take all of these components into consideration because the same detail can convey different meanings when other details are also considered. For example, dogs wag their tails when they’re feeling aggressive and also when they’re feeling friendly; cats purr to indicate that they’re nervous and also to tell us that they’re content. 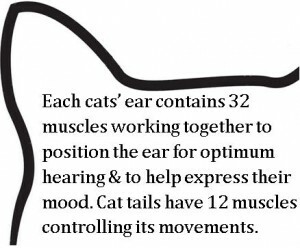 Ear and tail position and movement are the details that are usually easiest to observe from a safe distance, often providing the most information about mood. Of course these descriptions apply to animals who have full mobility of their bodies. Keep in mind that some types of tails are more expressive than others; a black lab’s long, straight tail has moves differently than a pug’s shorter, curly tail. 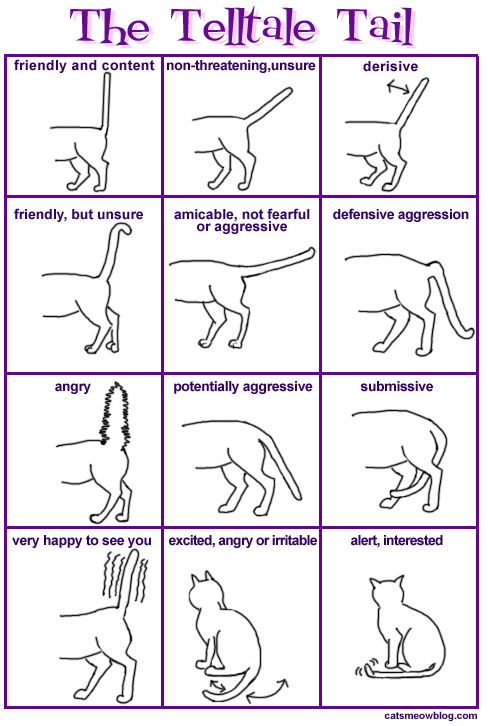 Below are some of my favorite websites with illustrations of dog and cat body language. Tuscon Grooming Pets & Grooming Services. 18 Nov 2012. http://www.tucsongrooming.com/?p=23.